How Do You Make An International Call With MyLine? 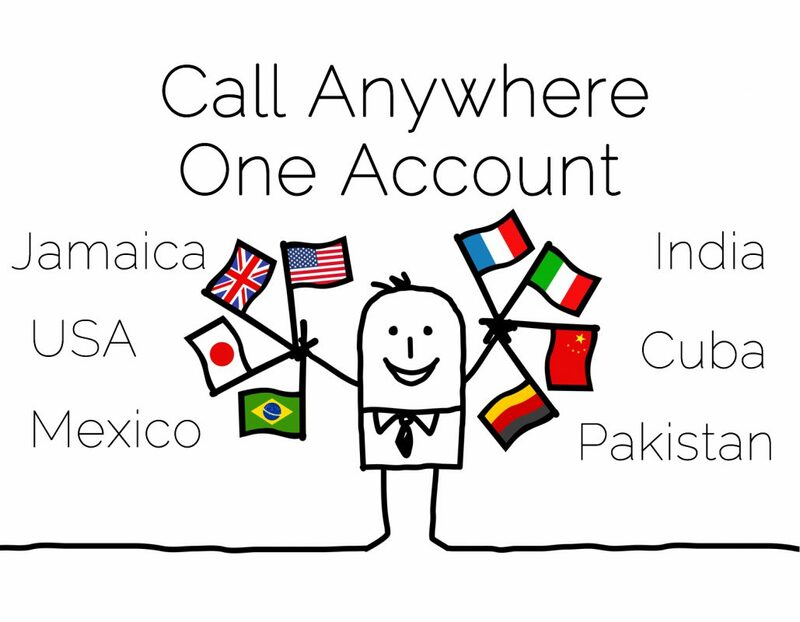 MyLine enables you to make low cost international calls to any country in the world with the highest call quality using our app and your own number (learn more about how to call with MyLine here). Simply purchase your first minutes and you’re ready to start talking. MyLine provides the most reliable and economical pay as you go international calling card service in the market. Check out our calling rates by country here or check the access numbers with country code here. Do Standard Cell Phone Plans Offer Free International Calls? Your standard cell phone plan typically do not offer international calling minutes. This means you’re on your own when it comes to calling loved ones and business partners in different countries. MyLine is useful because you can bypass the exorbitant rate cell phone companies charge per minute to call internationally. When you call internationally without MyLine you could find that you owe hundreds of dollars more in your bill. If you want to call internationally with WhatsApp or Facebook you’ll have to have an internet connection and the person you’re trying to reach will also have to have an account. With MyLine the person you want to reach does not need an account with us. You can call their phone directly. Reach over 150 countries for as low as $0.001 per minute! Spend more time talking to your loved ones and less time worrying about bills. Can’t get wifi signal? Data charges too expensive? No worries. MyLine lets you call abroad even without internet connection. Reach anywhere while saving more on your data plan. To talk you only need your own MyLine account. The person you’re trying to reach does not need an account as well. Familiarizing dialing country codes for different countries can be dizzying. Luckily, you can kiss them goodbye with MyLine’s one-touch dialing feature. Just dial the international number as you would a local one. You can even dial straight from your contact list. It’s that easy! MyLine works across a broad range of devices so you can dial from your iPhone, iPad, Mac, smartphone, tablet , PC, landline or even that trusty, old GSM phone. Forget about connection fees, sign up fees, maintenance fees and all the other fees your international calling company can think of. With MyLine, you only pay for what you use. No more, no less. Pay as you go. No contracts, no hidden charges, crystal clear billing policy. That’s MyLine’s guarantee. Send text messages to any international mobile number at no cost when you sign up! PIN-free dialing for faster and easier calls. Add as many as numbers as you want! Password protected to keep your account’s privacy even when sharing devices. Auto recharge helps you avoid disconnected calls. When your balance reaches a certain limit, your calling card gets recharged automatically so you never run out of credit. Manual recharge lets you take control of your account. You will be notified when your balance reaches the limit you set then top it up with any amount you prefer. Speed dial makes it easier to dial frequently called numbers. Just one touch and you’re good to go. Easy to use interface lets you view all your PINs, current account balance, online calling history and even update your account information anytime. Excellent audio quality with no buzzes. Hear everything perfectly from the other end of the line. Experienced and professional customer support that’s always ready to address your problems and queries 24 hours a day, 7 days a week. 180 days validity for calling cards after last use. 1 minute rounding of calls means that you won’t get charged for a few extra seconds of talking.